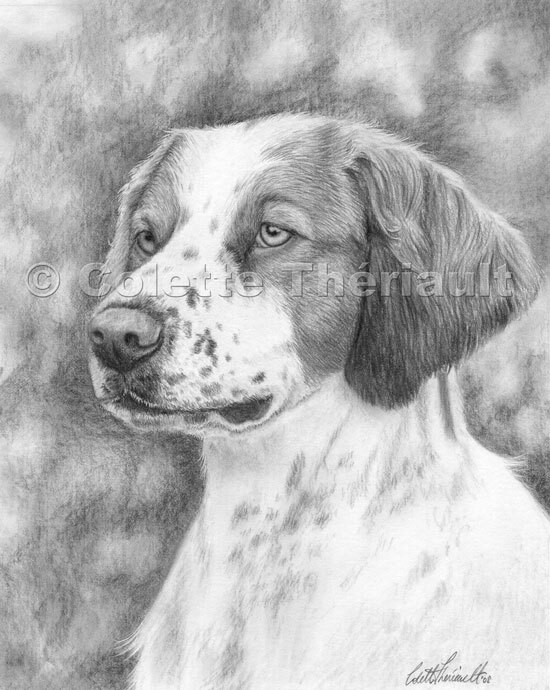 Graphite pencil pet portrait commissioned by renown Christian Artist Jeanie Kay Truesdale. The pose depicted above was when Kay-Sea was in his younger years. This beautiful dog is a pedigree Brittany who's registered name is Ch Kay-Seas Countdown, JH.